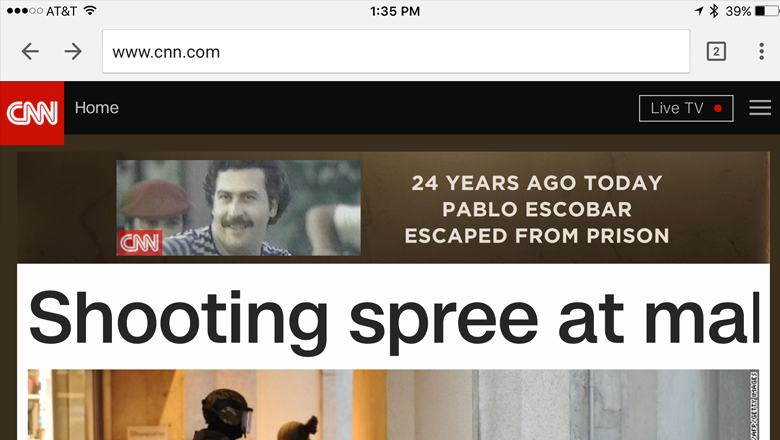 CNN.com is running an ad for the Netflix original series “Narcos” that significantly blurs the line between ads and editorials. The area around the ad itself as well as the bulk of the homepage content features a blurred brown background, making this content become tightly integrated with the rest of the page. 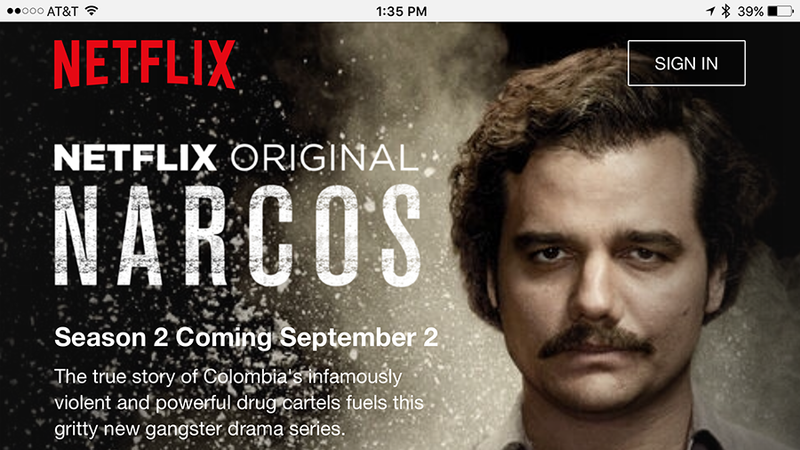 Notably, the ad also includes a CNN logo in the lower left of the Escobar mugshot used in the ad. Clicking the box takes you to a Netflix-hosted landing page for the “Narcos” series about Escobar, an infamous Colombian drug lord (based on this page’s color scheme, this appears to be where the brown background that’s taking over the CNN homepage came from). Back on the CNN page, meanwhile, nothing indicates the box is actually advertising and, with CNN logo integrated so tightly and “today in history” style text, it’s easy to see how it could be confused for editorial content — and content that’s somehow endorsed by CNN.